But the large ships are not all there is to Princess Cruises. 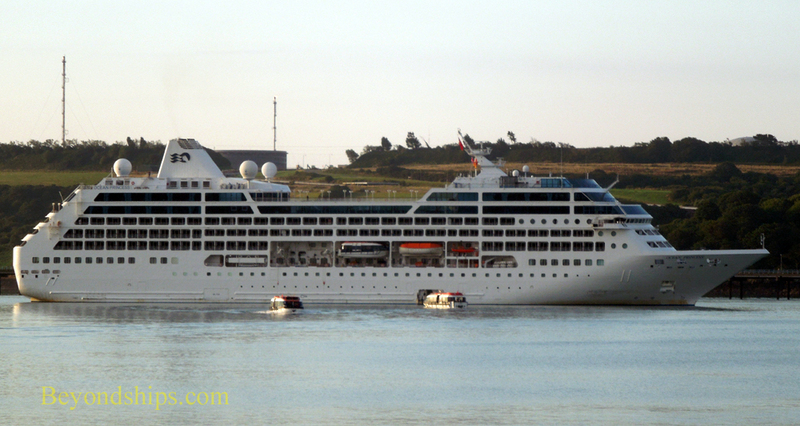 The line also operates two small ships, Ocean Princess and Pacific Princess. I sat down with Captain Carlo Servillo and Hotel General Manager Arturo Carlise of Ocean Princess to find out how these small ships fit into a line dominated by large cruise ships. At the outset, it must be emphasized that Ocean Princess and her sister are very much Princess ships. “The main philosophy remains the same on all the ships. In substance, our system is based on 'we never say no.' We always try and find a way. Our philosophy is that everything is dedicated to the passenger,” explained Mr. Calise. Ocean Princess does not do the same itinerary week after week. Instead, she travels the world, even more so than her larger fleetmates. Within the course of a year, she will be in Northern Europe, the Mediterranean, the Middle East, Asia and the South Pacific. She visits popular ports as well as to smaller ports that are off the beaten track. “Another advantage of the small ships is that we can call at ports where big ships don't fit. Some beautiful ports – Milford Haven [Wales], Waterford [Ireland]. These are ports of call that cannot be used by big ships,” the Captain commented. Ocean Princess is one of eight, essentially identical ships, that were originally built for Renaissance Cruises. After Renaissance went bankrupt, the eight ships became dispersed over several cruise lines, with Princess currently owning two of them. Interestingly, none of the new owners has changed the ships very much, leaving the layout, the cabins and décor pretty much the same. While some of the lines market their ships as luxury cruise ships, Princess does not. Ocean Princess and Pacific Princess are Princess ships just like the rest of the fleet.